Vigeowebsite is the most innovative Service that completely transforms the concept of Website Builder. Get your WEBSITE and manage it with your DASHBOARD. You will have your own DOMAIN with your website and EMAIL addresses. We will always take care of HOSTING and BACKUP, you do not have to worry about that. You will have a great module for SEO and THEMES pack for your website. We will also take care of all the SECURITY and offer you magnificent INTEGRATIONS. We will make regular UPDATES so that you always have the latest technology available and we will surprise you with what COMING SOON we will put at your disposal. 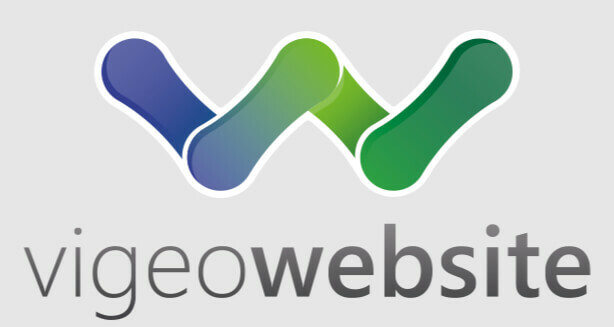 Vigeowebsite is the easiest way to quickly launch your new website. You just have to add your information to in a couple of hours. Following few and very simple steps, generate a modern, powerful, dynamic website that works perfectly on any device of any size. Vigeowebsite include all the features you need to create and manage your website from any device you have on hand. Whether it is a desktop, a laptop, a tablet or even a smartphone, from any of these devices you can use all the features of Vigeowebsite. Connect to Vigeowebsite from wherever you are and whenever you want. Easily make any changes you require to automatically update your website. You will never have to worry about installing and configuring anything. We will keep everything updated so that your website uses the latest technologies. You will not have to do anything, all our updates are automatic. We will inform you about each of the updates and new features we have incorporated into Vigeowebsite. Vigeowebsite includes everything you need!